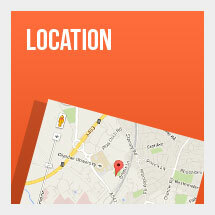 If ‘location location location’ is important to you, then it simply doesn’t get any simpler than Wrexham Village, just a 2 minute walk to Wrexham Glyndwr University and a 10 minute walk into the heart of the town centre with its excellent shopping facilities and a fantastic night life offering a choice of fantastic bars, night clubs and great places to eat. 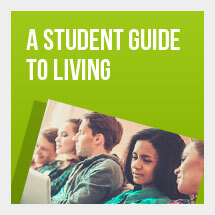 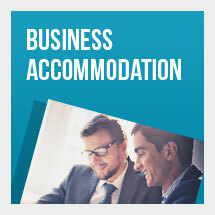 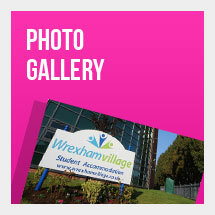 Wrexham Village offers unrivalled student accommodation in the Wrexham and North West area. 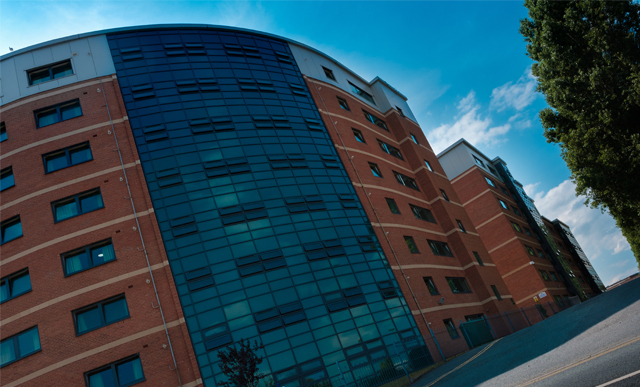 Our two purpose built accommodation buildings have 321 en suite bedrooms divided into 6,7 and 8 living quarters that share a fully equipped communal kitchen and living area, which are perfect for relaxing and socialising with fellow students, friends and colleagues.